Several studies have examined workplace bullying in the general population or in the K-12 student population. This book examines the manifestation of workplace bullying in American Higher Education Administration. After surveying over 175 four-year colleges and universities in an independent study, Hollis confirms that workplace bullying occurs at alarming rates in higher education. Further, this study calculates the cost of employee disengagement. Staff who have been bullied either seek to separate from an institution or mentally “check out” as a way of enduring a bully. In the midst of souring tuition costs, no organization can afford the millions of dollars lost to employee disengagement due to a bully. After gathering data through surveys and several interviews with administrators in higher education, Hollis develops a model for a healthy workplace specifically for higher education, which is also applicable to the general population. The model offers solutions for the leadership and organizational level, middle managers, and for the bullies who are seeking healthier management strategies. While this book is an academic study, the writing is accessible, reflects on popular culture at times, and considers the urgency of workplace bullying in relationship to cost, potential accreditation issues, and the personal anguish of the target. The findings and solutions are appropriate for executive leadership, middle management or anyone working in higher education. Few studies address workplace bullying in American higher education. 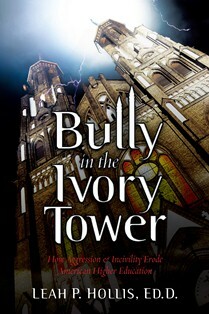 Leah P.Hollis, EdD, author of Bully in the Ivory Tower addressed the issue of workplace bullying in four-year institutions. 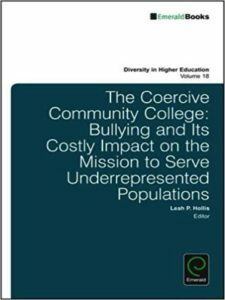 This volume replicates the study to reveal that 64% of community college respondents are affected by workplace bullying. Women, people of color, and the LGBT community face increased incidents of workplace bullying. This volume addresses topics like the impact of labor unions on higher education workplace bullying. This topic is timely as several unions are emerging for adjunct faculty nationally. Also, the volume offers a rare voice from the presidents’ perspective on workplace bullying. The narratives show that even the president has a boss, and can be adversely affected by workplace bullying. For those learning about leadership, especially applied to community college, this volume offers ten case studies for discussion and consideration. The volume concludes with a “call to action” for community colleges that have an opportunity to create and maintain a healthy workplace. In turn, effective policy can stop the costly behavior that is eroding the community college mission. 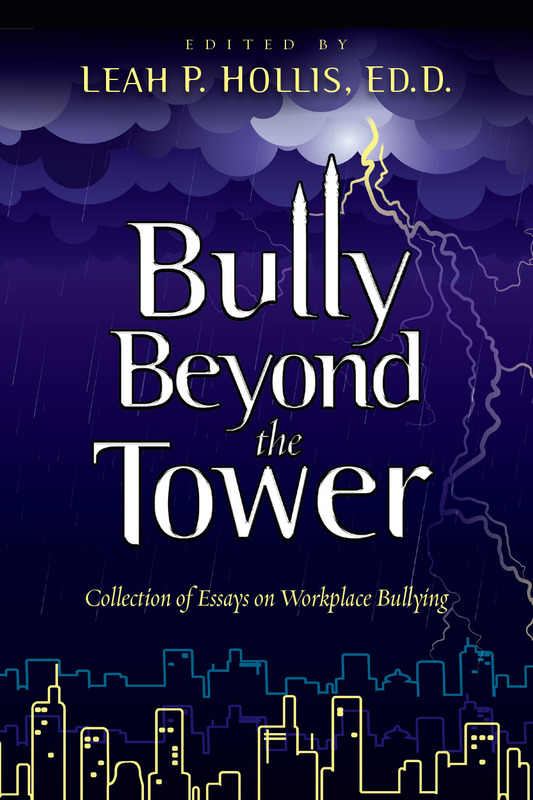 Bully Beyond the Tower is a collection of peer reviewed essays from academics, attorneys, and practitioners who offer a variety of perspectives on the ills of workplace bullying. Any organization that harbors a bully threatens its own innovation and creativity. Those who endure bullying are subject to brain trauma, emotional trauma, and psychological trauma. This collection offers different insight including global initiatives, restorative solutions, and leadership strategies for overcoming bullying in the workplace. However, without legislation in United States, workplace bullying continues to diminish the creativity, productivity and well-being of workers subjected to status free abuse and harassment. 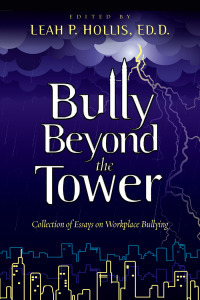 This anthology offers a unique series of diverse perspectives on workplace bullying which will inform organizational leadership and individual targets struggling to find relief from an abusive boss(es) and organizations that support bully the mentality. It is the job of the Equal Employment Opportunity Commission to address private sector job bias complaints alleging discrimination based on disability, religion, and/or national origin and weed them out of the American workplace. Yet, in recent years, such complaints have hit record highs. Inside the volumes of statistics are personal stories, personal disappointments, and personal consternation. 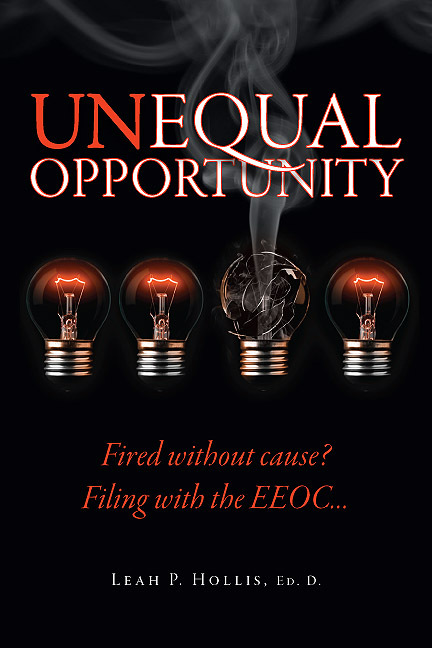 Unequal Opportunity presents the barbed kernels of EEOC incidents, complaints, and issues and demonstrates that however much enforcement the government may bring to bear, discrimination still exists, and is still disrupting the lives of those on the front line of the battle. Some of these stories resulted in settlements, while others simply moved on with the scar of discrimination embossed on their psyche. In all cases, the lives of complainants and defendants were changed forever. These stories represent a cross-section of the race, age, and gender discrimination that women of all colors face while trying to perform a solid day’s work in America. This book is not intended to give legal advice, but is intended to provide insight to trends based on the interviews and stories of women who have endured such hardships.